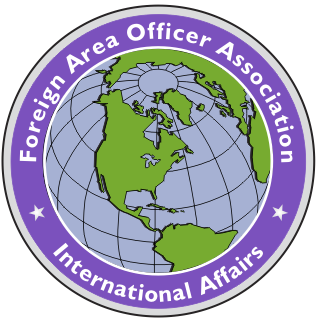 FAOA writing awards program recognizes student authors who have demonstrated outstanding academic research, strategic thought, and professional writing skills on significant international or political/military affairs topics in completion of their graduation requirements. One of our most popular and successful FAOA programs is our Academic Research and Writing Awards at Military Service professional military education (PME) schools as well as the Defense and National education institutes. The FAOA Academic Awards Program serves a number of purposes for the Association, including to promote the organization in the academic arena, boost membership, give FAOs and other international affairs specialists the chance to be officially published and recognized for their academic work, and also to provide our FAOA Journal of International Affairs with a steady stream of high quality articles written by international affairs professionals in an academic environment. The current co-chairpersons of the FAOA Awards and Scholarships Committee are John Krause, Kurt Marisa, and J.B. Shelton. The 2014 was our 3rd academic year for running the program and we currently have 12 awards. The two newest schools added to our program for 2014 was the Naval Post-Graduate School, the National Defense University's (NDU) Eisenhower School (formerly the Industrial College of the Armed Forces), and the Army War College (first ward presentation slated for December 2014). A representative from FAOA participates in each school's graduation or writing awards ceremony where we present a plaque or other appropriate award, as well as a 1-year complimentary membership or extension in the FAOA. Following is a recap of the 2014 award winners, papers, and FAOA volunteer presenters. Look for the award-winning papers in future editions of the FAO Journal and/or on our website. (U) Unclassified papers can be viewed by clicking on their links. This Award is presented at Air University at Maxwell AFB. Alabama, for both the Air War College (AWC) and Air Command and Staff College (ACSC) programs. Click on the paper's title to read the winning work. International officer, Lieutenant-Colonel Pierre Gaudilliere, French Air Force, for his paper titled "From Pivot to Symmetry? Integrating Africa in the Rebalance to Asia". Major Lauren N. DiDomenico, US Air Force, for her paper titled "Land Disputes Unearth Shaky Legal Foundation: Will Liberia's Land Reform Provide Stability." 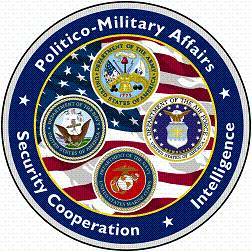 The FAOA presenter of these awards was FAOA Charter Member and Alabama resident, John Fairlamb, Colonel, USA (ret). This Award is presented at the Marine Corp University at Marine Base Quantico, Virginia, for both the Marine War College (MWC) and Marine Command and Staff College (MCSC). CDR George A. Walborn II, U.S. Navy Reserve, for his paper titled "The Americas in the Balance: National Security Implications of Chinese Influence in Latin America." MAJ Jacob E. White, U.S. Army, for his paper titled "The Economics of Nation-Building: Thinking Through the Complexity of the Problem." The FAOA presenter of these awards was FAOA member, Dennis "Flap" Fowler, Colonel, USAF (ret). The FAOA Award for Excellence in International Affairs is presented at NDU's Joint Forces Staff College at the Naval Base Norfolk, Virginia, for the Joint Advanced Warfighting School (JAWS) and a group award for the Joint Combined Warfighting School (JCWS). Lieutenant Colonel Phillip Zeman, USMC, for his thesis titled: “Finding a National Approach to Combat the Terror-Crime Nexus: A Hezbollah and Transnational Organized Crime Case Study." The awards presenter was former FAOA Board of Governors member/FAO Journal Editor in Chief and Tidewater resident, Dr. Coyt D. Hargus, US Army (ret.). The 2014 winner of the inaugural FAOA Award for Excellence in International Affairs at the NDU EISENHOWER School at Ft. McNair, Washington DC, was Lt Col Douglas D. Jackson, USAF, for his paper, "The Perilous Road to Sovereignty: Lessons Learned Through Tragedy and Triumph in Timor-Leste." The presenter was FAOA member, Dennis "Flap" Fowler, Colonel, USAF (ret). This Award is presented at the Naval War College at Newport, Rhode Island, for both the College of Naval Warfare (CNW) and the College of Naval Command and Staff (CNCS). Lt Col Stephen Patrick Hanley Frank, USAF for his paper on "State Owned Enterprises and Economic Reform in Vietnam." LT Andrew P. Thompson, USN, College of Distance Education, for his paper on "The Violence in the Central African Republic." The FAOA presenter of these awards was long-time member and Rhode Island resident, Michael T. Byrnes, BG, US Army (ret). The presenter was FAOA member and Monterey resident, Mark Chakwin, Colonel, US Army (ret). The 2014 winner of the General Vernon A. Walters Foreign Area Officer Association Award for International Affairs at the National Intelligence University at Joint Base Bolling Anacostia (JBAB), Washington DC, was Cryptologic Technician Interpretive (CTI) First Class Allison M. Palmer, US Navy, for her thesis titled, "Chinese Motivations Regarding Bilateral Military Engagement with Pakistan" (classified paper). The presenter was FAOA Board of Governor's member and Secretary, John Krause, Major, USMC (ret).